IH 69C will ultimately run north to IH 69W at George West. A ceremony was held on July 15, 2013 in Pharr for the signing of both Interstates 2 and 69C on the same day a similar event took place in McAllen for Interstates 2 and 69E. 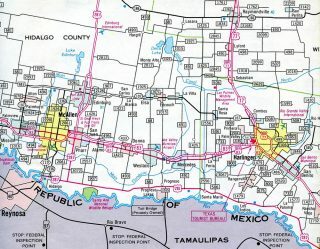 Old U.S. 281 through Edinburg was established as SL 113 on April 14, 1980. 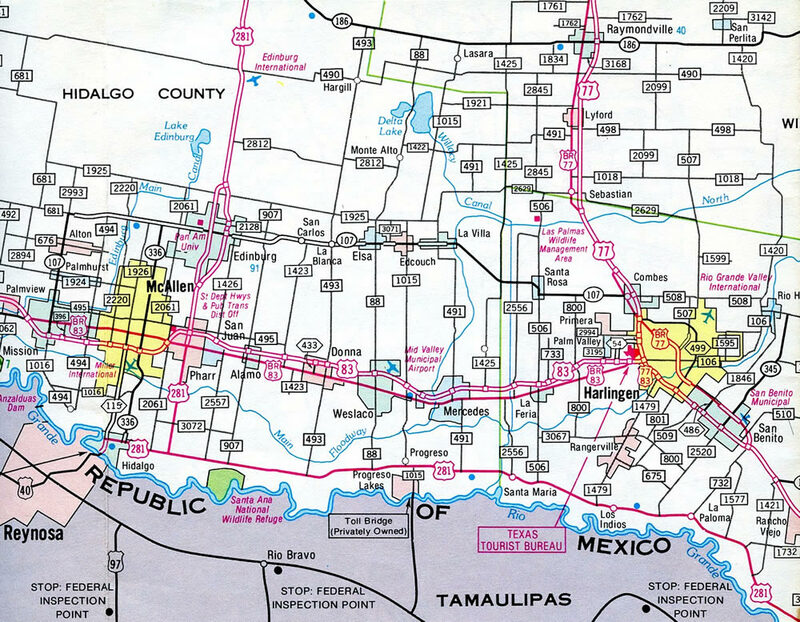 The 6.9-mile route was renumbered as Business U.S. Highway 281-W on June 21, 1990. Presently Interstate 69C ends at the diamond interchange with FM 490 and transition of U.S. 281 from a freeway to a divided highway. Exit numbers were added to IH 2 by 2016, reflecting the ultimate planned terminus at Laredo. Pictured here is the one mile approach to the directional T interchange (Exits 146A/B) with IH-69C and U.S. 281. Photo taken by Jeff Royston (03/16/16). SCOH Report from Special Committee on U.S. Route Numbering Annual Meeting, November 16, 2012. I-69 from McAllen to Victoria, I69Info.com: Interstate 69, web site (Chris Lawrence). “Another 6.1 Miles Added to I-69 Texas System.” Alliance for I-69 Texas web site, November 30, 2015. Page updated April 5, 2016.